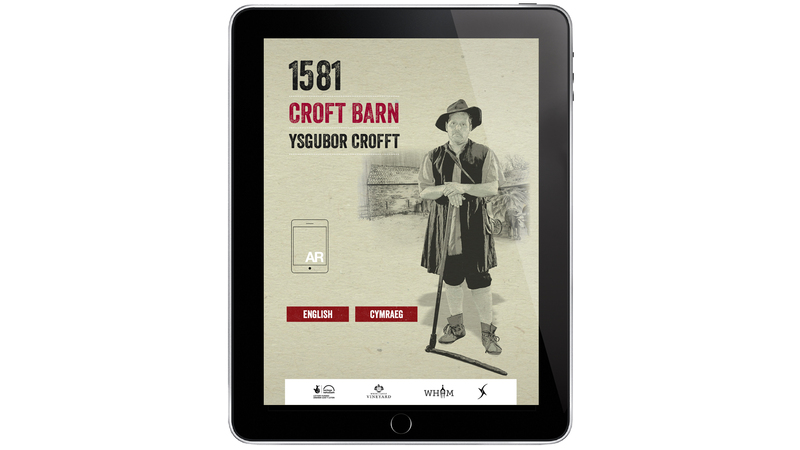 As part of a Heritage Lottery funded restoration of a 16th century threshing barn, we were asked to provide an innovative educational resource to help the team explain to school groups and visitors how the barn was built and used. The fabric of the building could not be altered to accommodate any static interpretation. We created a bilingual AR experience to bring the farmer whose father built the threshing barn, back to life. Using a pull-up banner as an AR trigger image to avoid fixing anything permanent to the fabric of the building, school groups can see the life-sized farmer appear in front of the banner to explain the layout of the barn, why it had been built the way it had, and a little about farming in the 16th century. The use of a pull-up banner to trigger the experience also offers the education team flexibility, enabling them to take their virtual farmer out to schools who aren’t able to visit the barn itself.